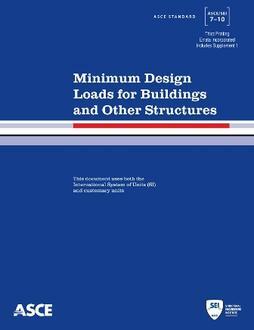 Minimum Design Loads for Buildings and Other Structures, ASCE/SEI 7-10, is a complete revision of ASCE Standard 7-05. ASCE 7-10 offers a complete update and reorganization of the wind load provisions, expanding them from one chapter into six to make them more understandable and easier to follow. ASCE 7-10 provides new ultimate event wind maps with corresponding reductions in load factors, so that the loads are not affected. 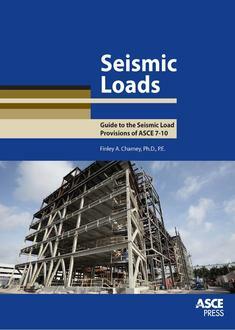 It updates the seismic loads of ASCE 7-05, offering new risk-targeted seismic maps. The snow load, live load, and atmospheric icing provisions of ASCE 7-05 are all updated as well. 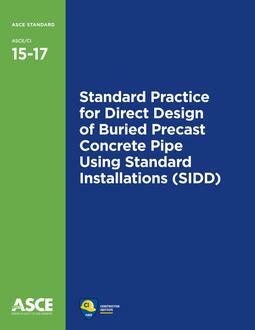 ASCE Standard 7-10 provides requirements for general structural design and includes means for determining dead, live, soil, flood, wind, snow, rain, atmospheric ice, and earthquake loads, and their combinations that are suitable for inclusion in building codes and other documents. A detailed commentary containing explanatory and supplementary information to assist users of ASCE 7-10 is included with each chapter. ASCE 7-10 is an integral part of the building codes of the United States.